I like this image because it's not obvious what it is. 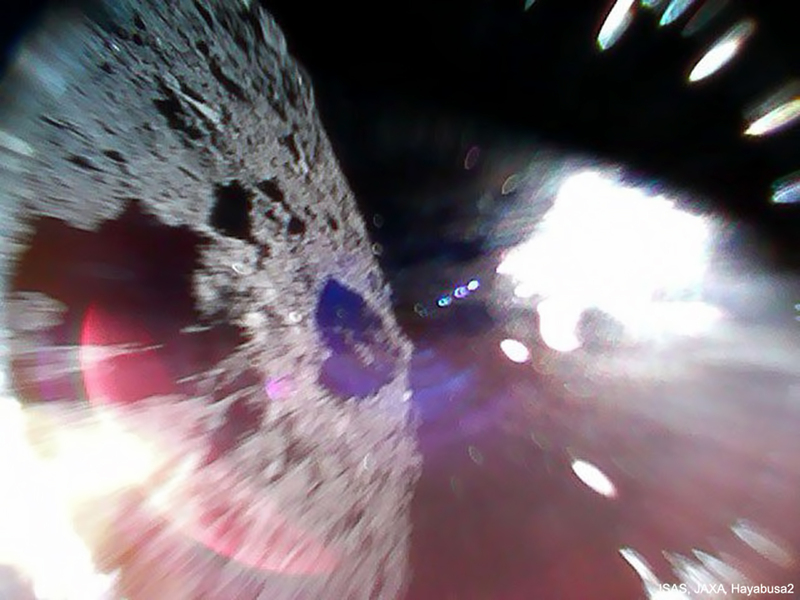 The Japaneses space agency's Hayabusa2 mission has landed two small rovers on the near-Earth asteroid Ryugu. That's the asteroid surface on the left; the rovers move around by hopping and landing several meters away. This picture was taken mid-hop.